Dr Oscar Faber, OBE CBE DCL(Hon) BSc DSc MICE MIMechE AMIEE PPIHVE FCGI, was president of two professional bodies — the Institution of Structural Engineers (1935) and the Institution of Heating & Ventilating Engineers (1944-45). He received his OBE for World War I work on non-magnetic mine casings and his CBE for the rebuilding of the House of Commons after World War II. Faber was among the small group of engineers working with 'ferro-concrete' in its infancy. His pioneering work on the theory and practice of reinforced concrete design, particularly his development of what is now called 'limit state design' in preference to rules of thumb, set the criteria for modern methods. Many of his innovations are now industry standard practice. He also made significant contributions to building services and their integration into structures. He liked form to be dictated by function but showed that practical buildings could be beautiful. Perhaps his best-known work is the new Bank of England, which secured his reputation. Like his contemporary Ove Arup, Faber relished opportunities to work on ground-breaking structures and believed that engineer/architect collaboration was imperative. Nevertheless, on work such as the underpinning of Durham Castle and the various Spillers' mills, he worked entirely successfully without an architect. Faber wrote some of the seminal textbooks and papers of his era, whose contents remain applicable today. 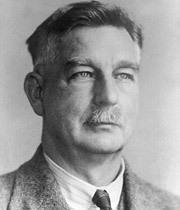 The ICE awarded him the 1928 Telford Gold Medal for Plastic Yield, Shrinkage, and Other Problems of Concrete, and their Effect on Design, and the 1941 Baker Gold Medal for Aesthetic of Engineering Structures. As well as being a charismatic individual — likened to "a still untamed Viking" by his friend Richard Denis Charques — Faber excelled in civil, mechanical and electrical engineering and he founded one of Britain's most successful consulting companies (1921). His practice became Oscar Faber & Partners in 1948, and it continued after his death. In 2001 the firm joined with G. Maunsell & Partners to become Faber Maunsell. Today it lives on as part of the international engineering giant, AECOM.